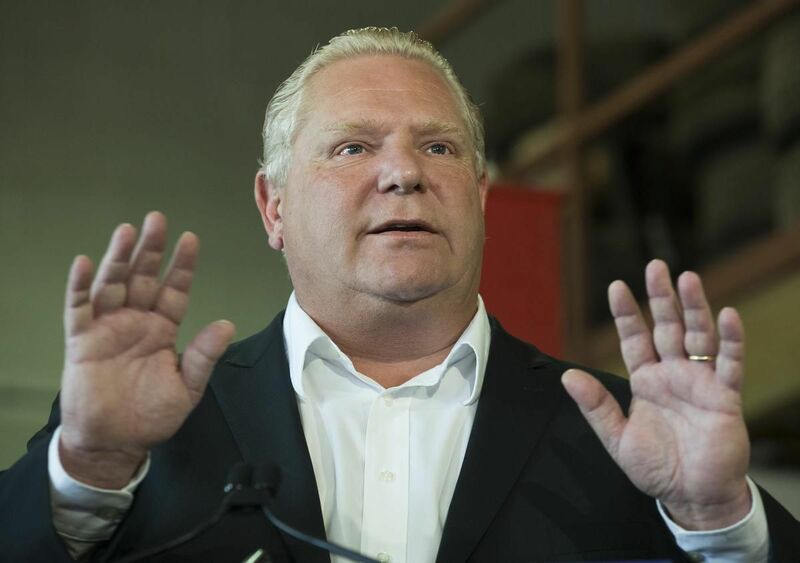 It’s time for Ontario Premier Doug Ford and his team to read the fine print in Bill 148. Once they do, they will realize that along with turning back the clock on workers’ rights and benefits, repealing it will undo an important source of support and protection for survivors of sexual violence and abuse. This legislation is critical in promoting the safety of any worker, but we know women experience domestic violence at higher rates and are more likely to be seriously injured or killed by a current or former partner. The law permits people to take up to 10 individual days of leave, five of which would be paid, if they or their children experience domestic or sexual violence or are threatened. And, if the situation is even more dire, workers could take up to 15 weeks of unpaid leave without risking their employment. I can’t imagine what it would be like to live with constant abuse, harassment and fear at home, and on top of it all, to be anxious about losing my job. Yet this is a daily reality for thousands of people, mostly women – a reality this legislation can help address. People in this situation need time to decide what actions they may need to take – whether risk assessments and safety planning, figuring out where to live, arranging one’s finances, or seeking legal advice and counselling. Ontario cannot be truly “open for business” if working people aren’t provided with the supports they need if they experience harassment and violence. Businesses know productivity and growth depend on a healthy workforce, and right now domestic violence costs employers millions in lost productivity. Thanks to the advocacy of labour unions and allies, Ontario was leading the way on this issue, with many other provinces following suit. It’s also a misconception to think that domestic violence only impacts home life. One way or another, it will have a negative impact on the workplace, sometimes with tragic outcomes. In Ontario, the devastating murder of Windsor nurse Lori Dupont, stabbed at her workplace by her former partner, led to the passage of a 2007 law in her name that finally recognized domestic violence as a workplace hazard. Bill 148 is the natural next step. Studies show 90 per cent of women in abusive relationships are being financially monitored or controlled. If a woman wants to take time off from work, a cut in her earnings could lead to a dangerous confrontation. Do we really want to be making it even harder for vulnerable people to leave harmful, and potentially lethal, situations? This is not hypothetical. We’re talking about a woman being killed every other day in this country by a current or former intimate partner. Even when the situation falls short of murder, abuse wears people down. We know that domestic violence impacts one in three workers in their lifetimes, according to a pan-Canadian research study we conducted with Western University in 2014. A significant majority of those workers told us their work also suffered. Half of those we surveyed said the abuse occurred near or at the workplace. Ignoring this issue won’t make it go away; not only will people continue to suffer while fearing the loss of their income if they make a move, but the costs to employers will continue to accumulate. Recent estimates show Canadian employers lose $77.9 million annually due to the direct and indirect impacts of domestic violence. It would break my heart to have to tell someone they had to choose between their job and their own wellbeing, or that of their children. It’s already bad enough that women – more often likely to be employed in precarious, low-wage work – would potentially lose out on a needed increase in the minimum wage with the repeal of this bill. It’s absolutely callous to send a further signal that this province doesn’t even care about their safety. Or maybe, just maybe, the powers-that-be at Queen’s Park will finally realize the ramifications of this harmful decision and change their minds. Hassan Yussuff is president of the Canadian Labour Congress. Follow him on Twitter at @Hassan_Yussuff.